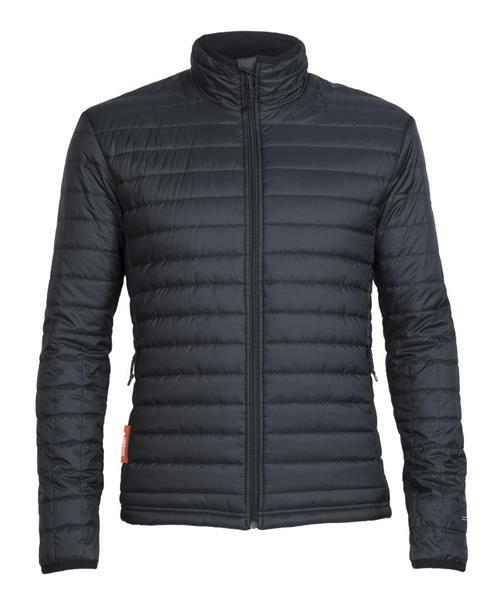 Ideal for active adventures when the temperature drops, the Stratus Long Sleeve Zip is Icebreaker's merino-insulated puffy jacket that combines technical insulation with a sustainable design. The Stratus features a 100% recycled polyester shell that sheds light weather and an adjustable drawcord hem to seal out frigid gusts. Inside the Stratus, they used their innovative 180gm MerinoLOFT™ insulation, which forgoes traditional synthetic fills for a sustainable, water-resistant merino blend (featuring recycled wool content) that provides ample warmth even when wet. Two zippered pockets keep your hands warm and store your small essentials when you’re on the move.